This item will be released 1 July, 2019. Originated in the National Trust’s lovely woodland garden near Tiverton in Devon. 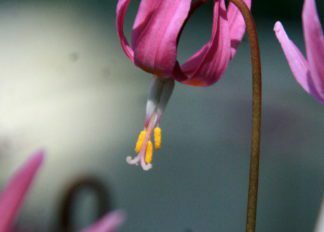 Undoubtedly a form or hybrid of E. revolutum. Produces seeds freely and when it is happy will gently spread itself around. Most plants have beautifully mottled leaves in maroon and green. Flowers April. Height up to 35cm. 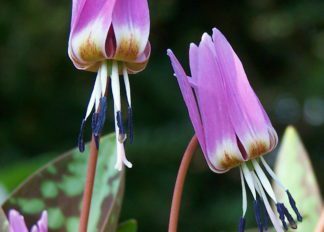 Please note: We send these to you as dormant, freshly lifted, flowering size bulbs in July and August ready for potting up or planting directly into the garden. 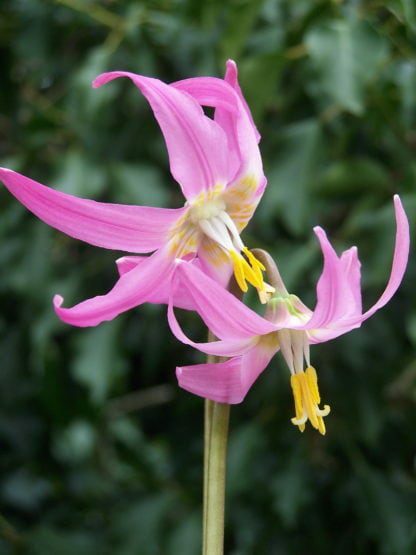 The species and cultivars of Erythronium that we offer are all selected because they are good garden plants. They grow well in dappled shade. They must remain moist at all times. They flower from late March through April. 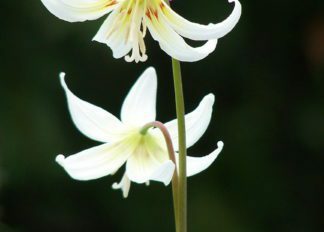 Their leaves die back in June and the bulbs become dormant over the summer. This is the best time to buy and plant Erythronium bulbs because they will root down in the autumn while the soil is still warm. The attractive glossy leaves start to emerge towards the end of February. Our collection has taken many years to develop. 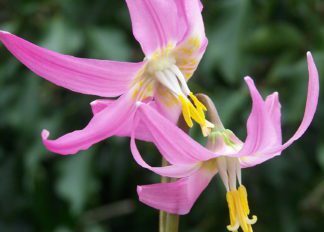 It takes at least 5 years to grow a flowering sized bulb from seed and propagation by division is slow. £ 3.50 This item will be released 1 July, 2019. £ 2.99 This item will be released 1 July, 2019. £ 4.95 This item will be released 1 July, 2019. Just to say many thanks for the 4 pots of Narcissus cyclamineus which were beautifully packed and arrived in excellent condition.